200 BOWMAN DRIVE, SUITE E110, headed up by Kathy. These medical professionals are available to help patients that have problems with their ostomy appliances or other related medical issues. Jane, at the surgeons request, can also stoma site pre-op patients. Appointment to see either Jane or Kathy can be obtained by calling 856-322-3222. 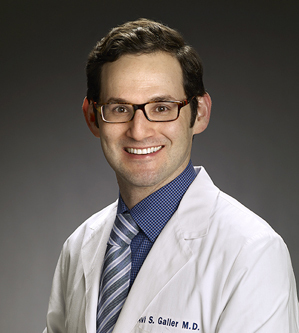 Dr. Avi Galler currently works at the Virtua Hospital in Voorhees with the Virtua Surgical Group, P.A. He is a graduate of Thomas Jefferson University School of Medicine, Philadelphia, PA, with a degree in medicine in 2006. His Postgraduate Training Internship was also at Thomas Jefferson University Hospital, Philadelphia, PA from 2006-2007. 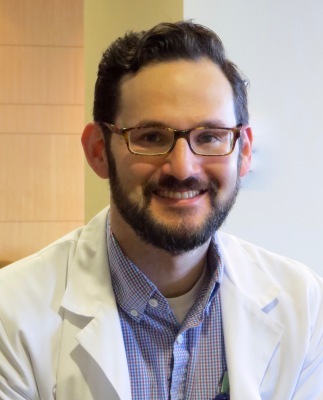 Dr. Galler did his Residency at Christiana Health System in Newark, Delaware from 2007-2011, and his Colorectal Surgery Fellow at Lehigh Valley Health Network, Allentown, PA from 2011-2012. Dr. Galler has his Board Certification in General Surgery (American Board of Surgery) and Colon and Rectal Surgery (American Board of Colon and Rectal Surgery). He is also a Fellow in the American College of Surgeons. While his resume is very impressive, one thing you won't see on paper is how important his patients are to him. Dr. Galler has said that while he very much likes the science behind medicine, the thing that he loves the most is the "people aspect". As his patient, I know this first hand. Dr. Galler has always made me feel like I am not only the most important patient, but the only patient he has that day. He is attentive and compassionate. Please watch the video below for more from Dr. Galler in his own words. Please also check healthgrades.com to see his 5 star patient survey rating (one of which was my survey). DISCLAIMER : No suggestions made, or any products named in any article or advertisement on this website, in any blog post, at our meetings or recommended by a member of our organization is to be considered as an endorsement by the Ostomy Association of Southern New Jersey or the United Ostomy Associations of America, Inc.. Always consult your doctor and/or WOCNurse before using any products of ostomy management procedures published on this website. If you have questions or comments regarding anything on our website, please don't hesitate to contact us using the form below. We will do our best to respond within 24 hours.